This is a very balanced film. No officials from the LDS Church or any LDS politicians were interviewed for this film. (The former declined, and Mitt Romney, via his son, declined until after he is elected president!) However, there were many LDS historians as well as average LDS members to represent the LDS position. The film also interviewed just as many who were not LDS. Of course those who claim that one should only get information about Mormonism from the Mormon Church will not be interested in viewing this film. But for anyone else who values the critical thinking skills of open-mindedness and breadth, this film is an undeniable model. As a result, this is not a propaganda film. Rather, the film gives a view of Joseph Smith’s history that is quite unlike other faith promoting films produced by the LDS Church. Writer and director Adam Christing is a former Mormon, but of the Reorganized branch (known today as the Community of Christ). I went to Biola University with Christing. Unlike me and my site MormonInfo.org, Christing has no apparent axe to grind against Smith and Mormonism. The reason I put this film review under the “critical” category is because it exhibits critical thinking well and deals with factual subjects that most LDS are either ignorant of or uncomfortable talking about. However, there are plenty of LDS in this film that recognize these uncomfortable facts, but simply choose to interpret them differently than the non-LDS who are also in the film. Here is just one example. LDS films, as well as performances, have conveniently ignored the fact that Smith used a gun to fight the mob which came upon him in the Carthage, Illinois jail. 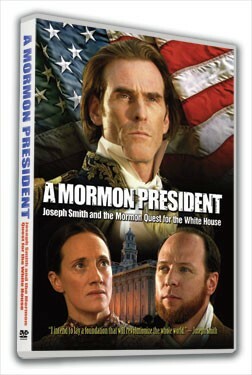 A Mormon President doesn’t ignore the fact, but the film allows an LDS viewpoint to argue how this was nonetheless a “martyrdom” in contrast to a non-LDS viewpoint which disagreed with using this appellation in this circumstance. Not only was this film a great history lesson, but it indirectly forced me to question something in regard to other Mormons running for the presidency that I have never questioned before. The film dealt with Joseph Smith’s order to destroy the Nauvoo Expositor printing press in 1844. This was obviously an act that went against our deep-seated American and constitutional right to a free press. Smith’s followers were, in a sense, forced to listen to the prophet of God, and they blindly carried out the order with their prophet’s blessing. Thomas S. Monson is regarded as the prophet of God today in the Mormon Church. So is it really that inconceivable that Monson could order a Mormon U.S. president to violate another deep-seated constitutional right? There is one area I would have liked to have seen the film address. The discussion of polygamy is prominent in this film. However, it did not discuss how polygamy, in a sense, is still practiced in the LDS Church. There are many members of the LDS Church who still, technically, practice polygamy. For example, three current LDS apostles are polygamists (Russell M. Nelson, Dallin H. Oaks, and L. Tom Perry). They are polygamists simply because they are widowers, who were sealed to a first spouse that died and then were additionally sealed to another spouse. Since LDS sealing is for “time and all eternity,” these apostles are currently married to more than one spouse. (Women cannot be sealed to more than one husband whether they be widowed or not.) As such, let us suppose Mitt Romney becomes president and his wife Ann, whom he is sealed to, dies. 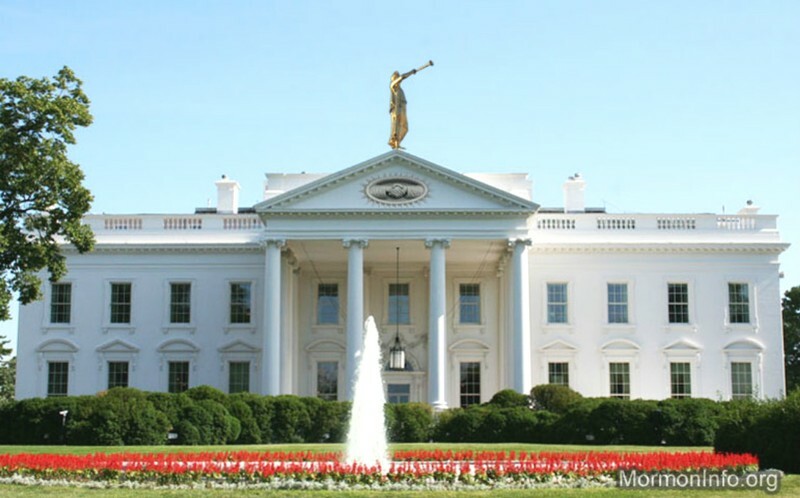 If Mitt goes on to be sealed to another temple worthy LDS woman for time and all eternity, then we would have our first polygamist in the White House! For more information, including ordering, see here.